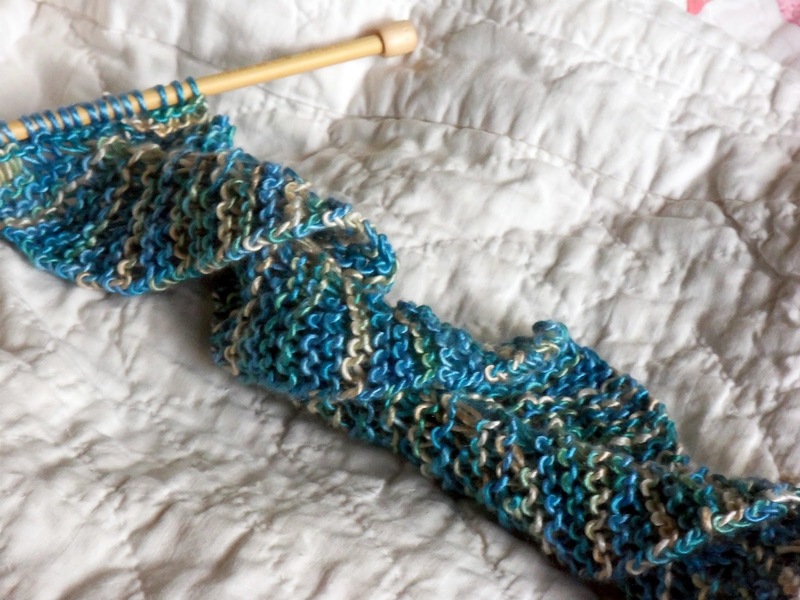 Last Sunday I met my friend Dogwood for lunch, and while we waited for our table at the Cheesecake Factory she taught me how to make this highly addictive (and easy peasy) scarf. Apparently this scarf goes by many names. I like "Potato Chip Scarf" best, probably because I like potato chips in general. The pattern can be found at the blog Free Motion. 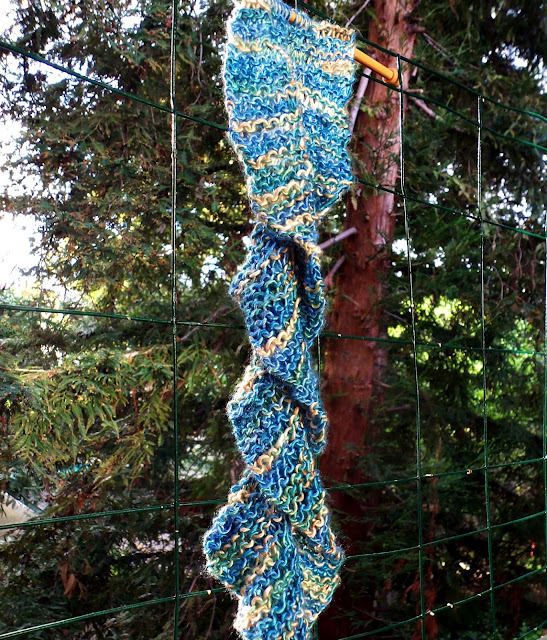 I'm knitting it with a skein of hand painted﻿ silk I bought at Stitches last year that I am absolutely in love with. At one point I had buyer's remorse for purchasing yet another single skein of yarn just because it was pretty, but now I'm so glad I splurged. Thank you, Dogwood, for teaching me this pattern! It's beautiful Stacy and in silk too?! Oh My! Thanks for the link because I now know what will be on my needles next. I hope you have the best day today. I wish I had been there with my two friends:) Love the scarf! Have a blessed day, HUGS! Looks wonderful! I've knitted up a couple of these too, very fun knitting! Isn't silk lovely? 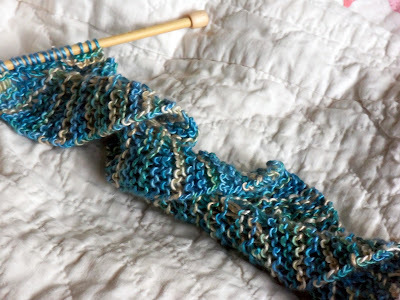 The colors and the sheen make for a really pretty scarf in particular. I'll bet you will get serious compliments for wearing that beauty around! Love the colors and slight shimmer of the silk. So pretty and it looks so easy to make. Thanks. Ooooh, isn't that pretty! Looks like the yarn and pattern were made for each other! LOVE the colors and what a fun name! I bet you two had a great time together! Ohhh, so pretty in silk! Ahh, everything is prettier in silk! Thanks for the shout out :).